Sandi Mdekazi attended art classes after he finished school in 2000 where he learned how to create mosaics out of ceramic tiles, glass and mirrors. He quickly developed his own ideas and got first orders for larger mosaic work, which decorates several facades in the townships and other buildings. 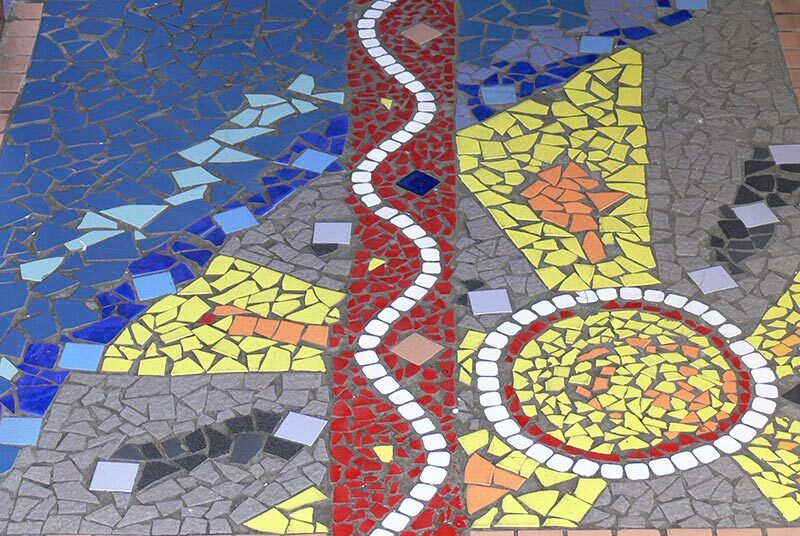 He also did the mosaic reception desk for the Red Cross Children’s Hospital in Cape Town. In 2008 he won the first price of an art competition. Besides creating large mosaics, Sandi also creates smaller mosaics and mosaic mirrors in his workshop in Langa, which are ideal for transporting oversears and hanging in your home.